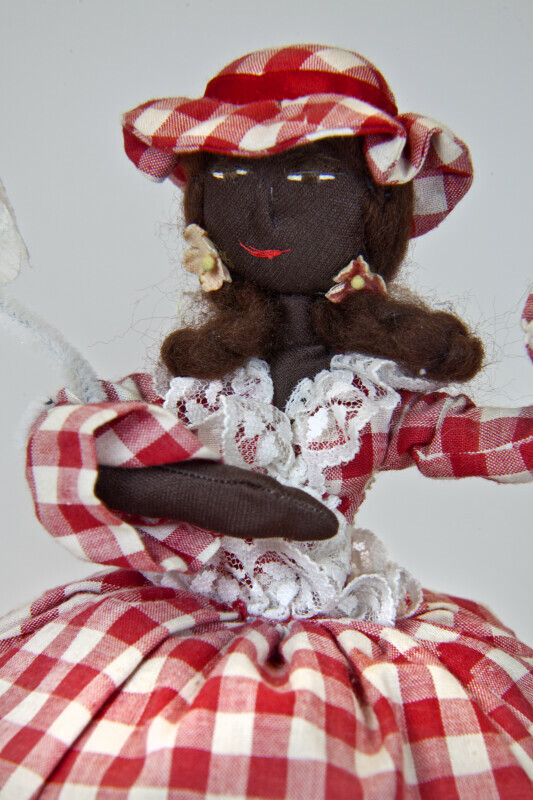 This hand made doll from St. Maarten has a large base that is filled with pillow stuffing. Her arms are made with wire that is covered with cloth. Her facial features are embroidered on cloth. She is wearing a long red and white gingham dress, with a matching hat. She is holding a parasol made from white lace. Her yarn hair is styled into two pigtails and tied with artificial flowers. The figure stands 10 (25 cm) inches tall.